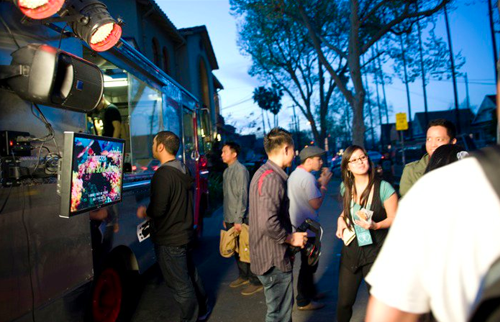 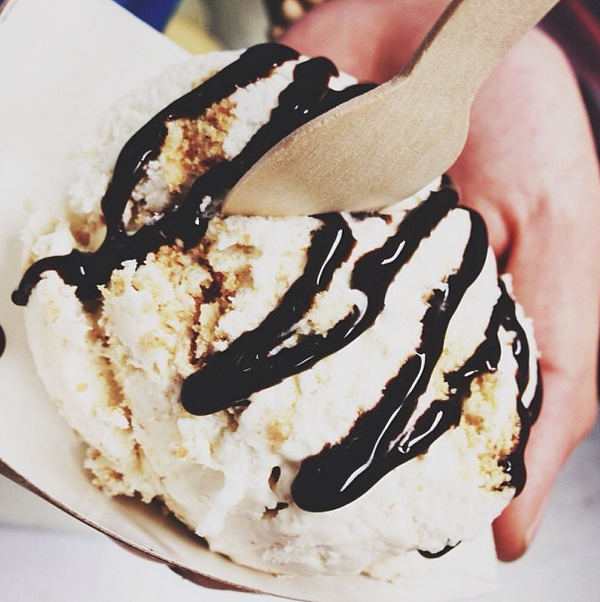 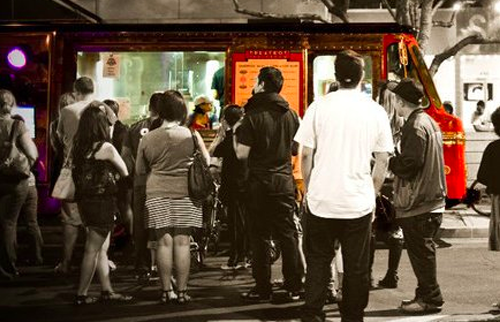 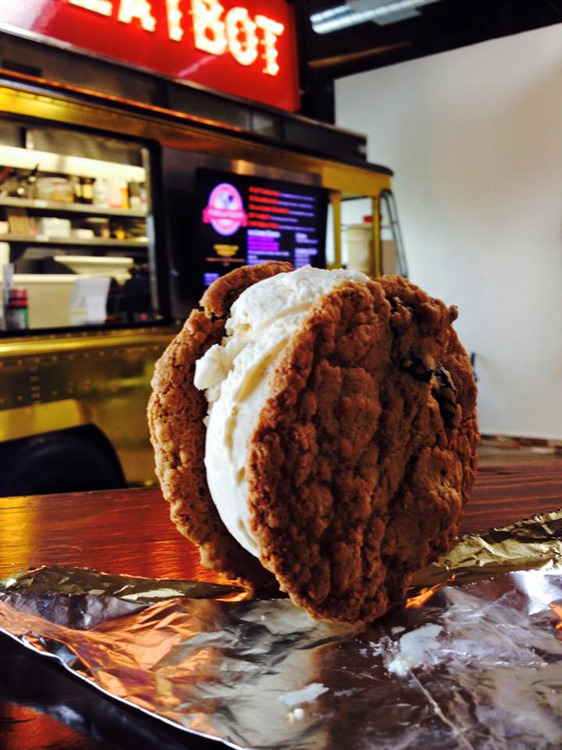 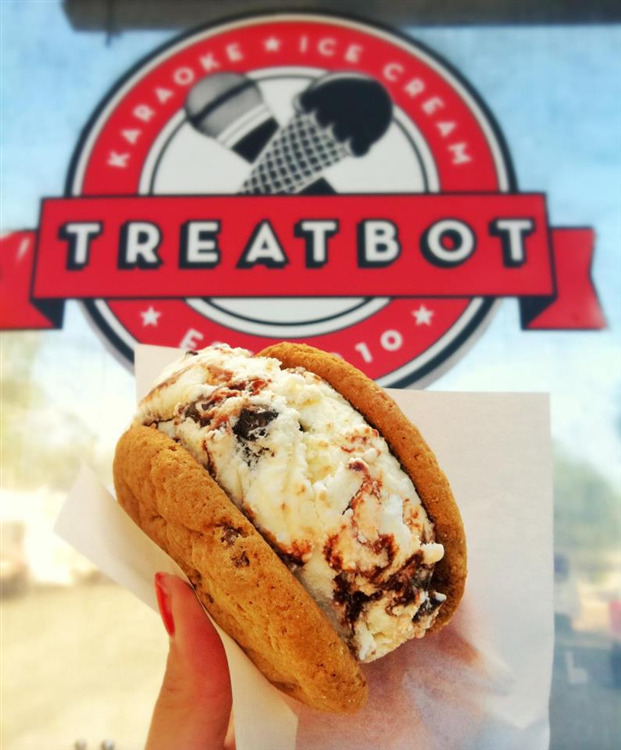 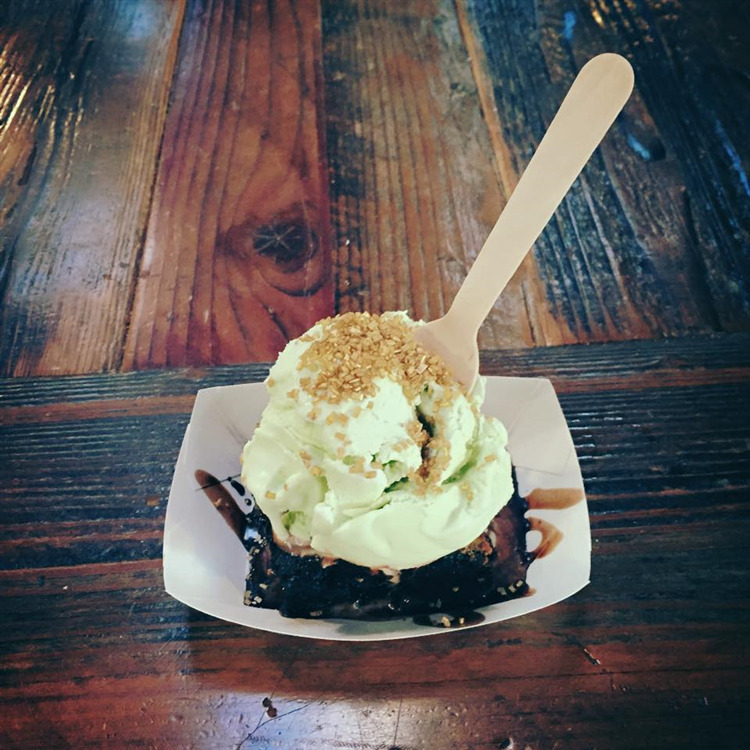 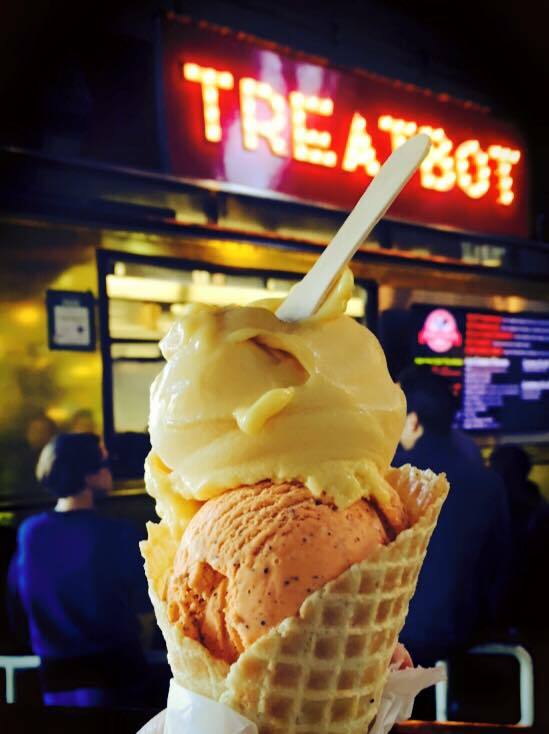 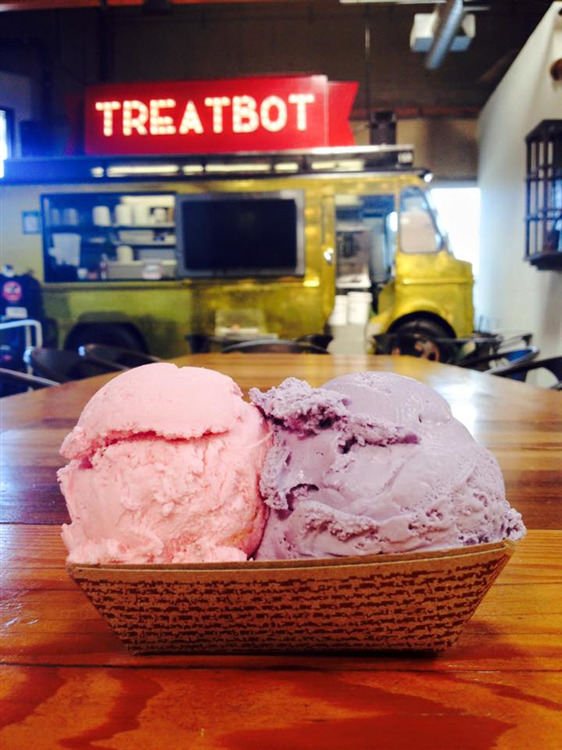 Described as an ice cream truck of the future, Treatbot serves dessert from local and sustainable sources under the guidance of food truck entrepreneur and Moveable Feast organizer Ryan Sebastian. 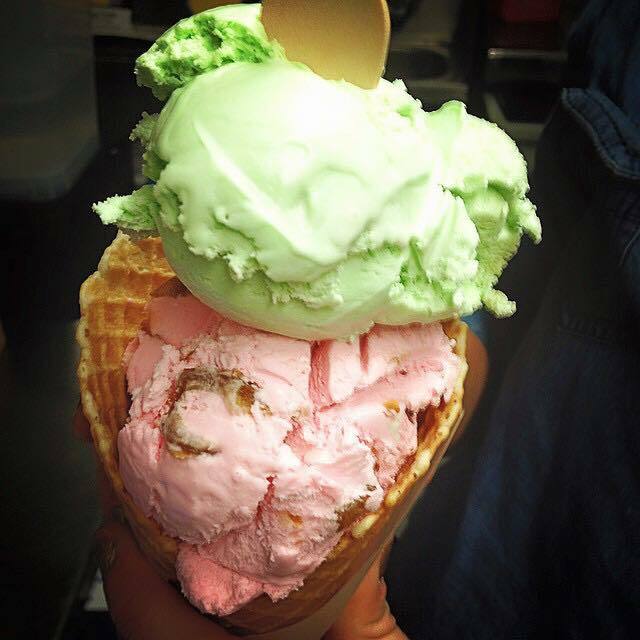 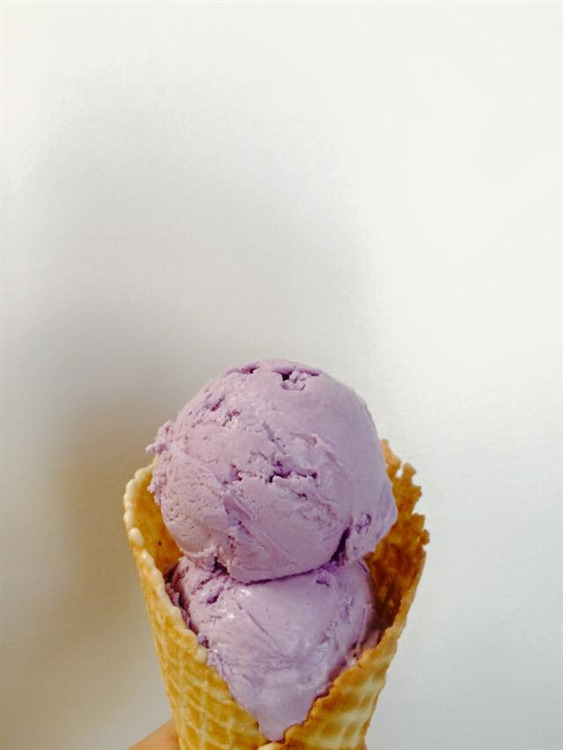 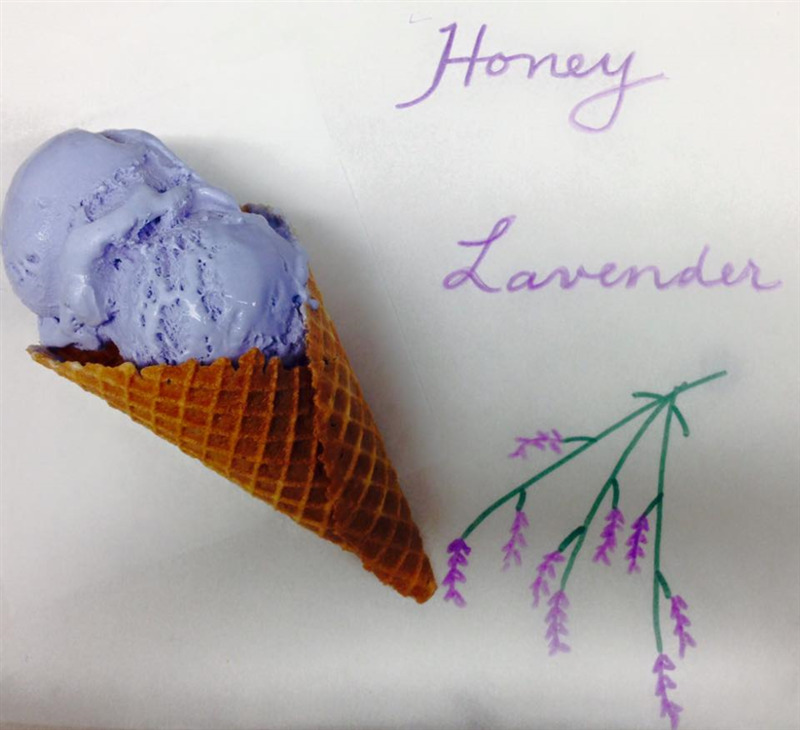 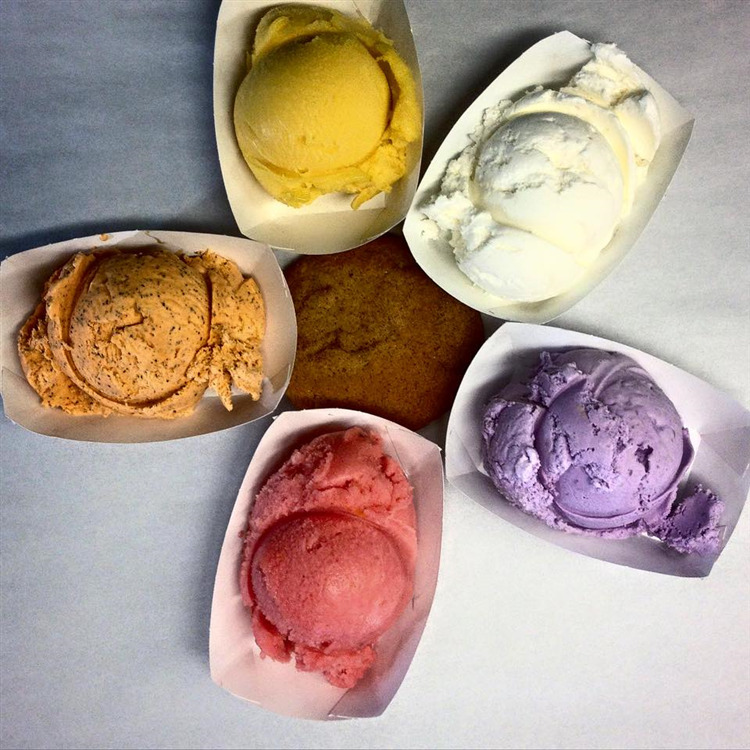 The flavors rotate nightly, but horchata, ube, macapuno and cantaloupe are regular favorites. 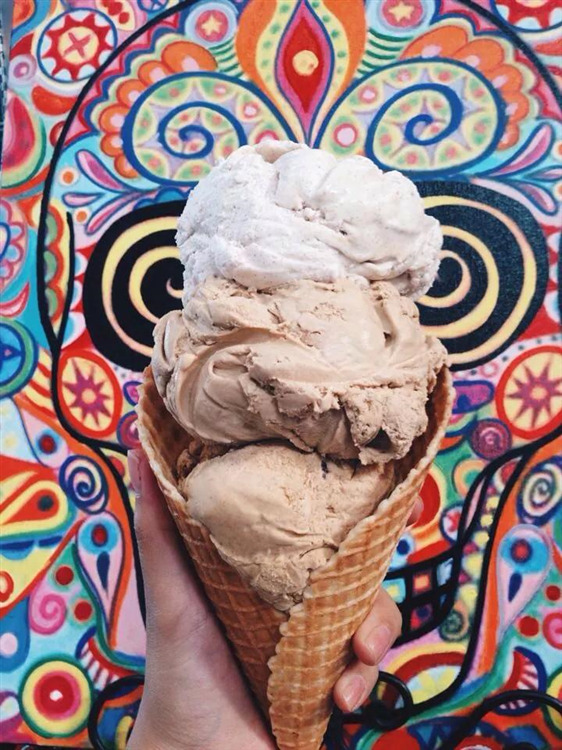 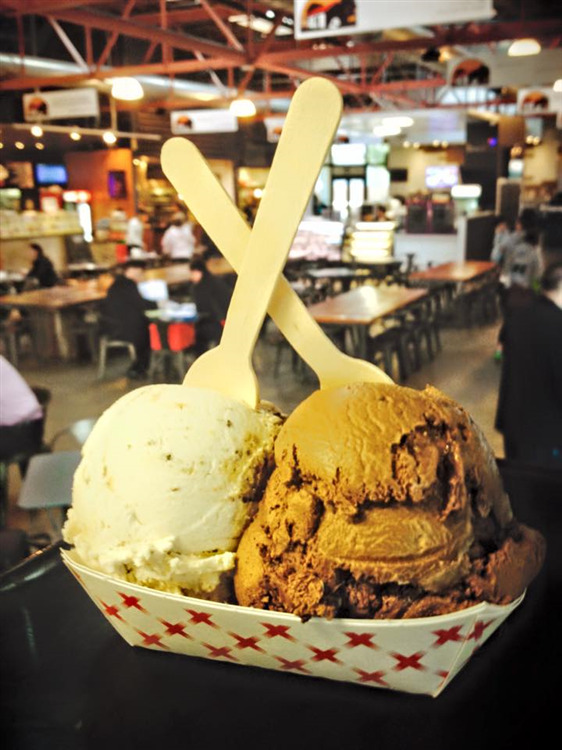 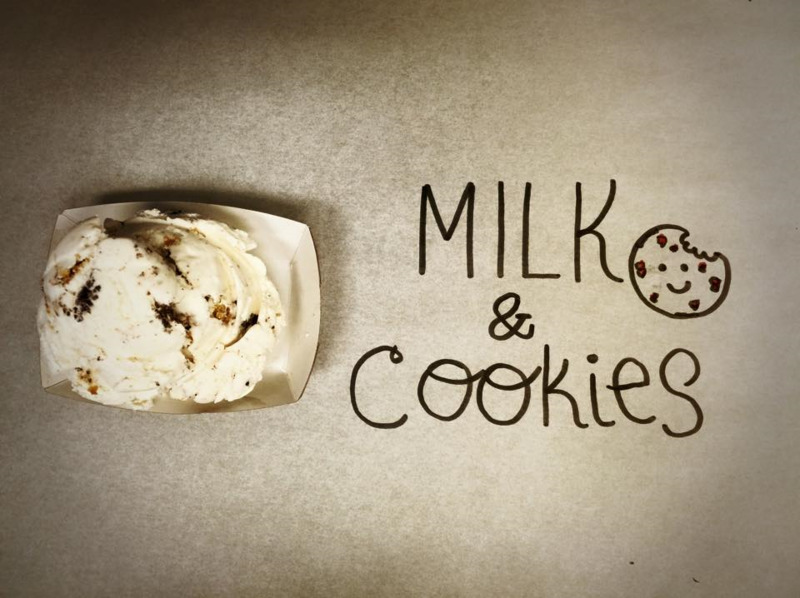 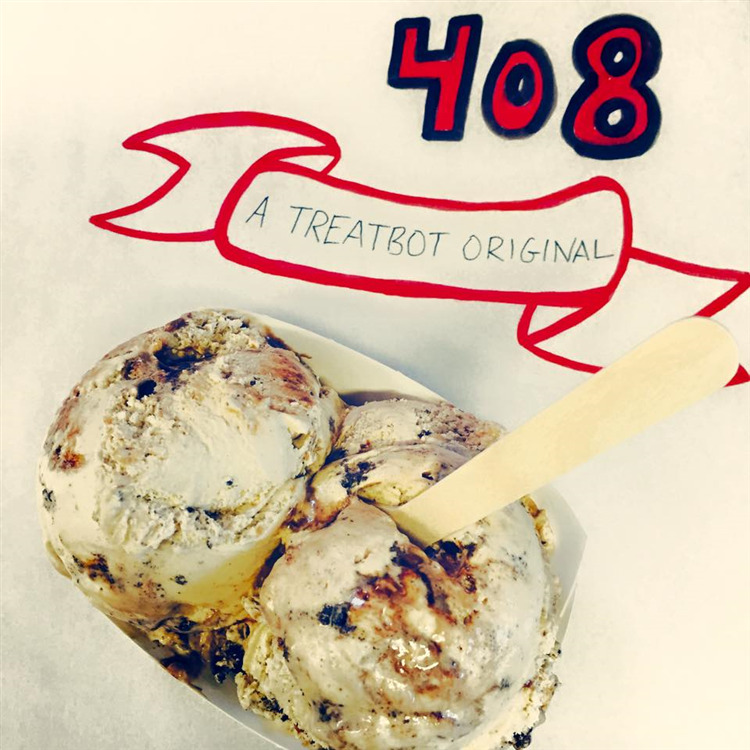 The 408 (caramel, Oreo and vanilla ice cream) is the most popular selection.